Proceedings in the case against four Chinese suspects, on trial for charges ranging from illegal possession of rhino horn to money laundering, ground to yet another halt late last week as defence counsel for the accused raised objections against video evidence that the state was seeking to admit as evidence. Magistrate Alexis Diergaardt postponed the matter in the Windhoek Regional Court to October 19, to allow for the original material to be produced in court as the trial of Li Xioalin (31), Li Zhibing (54), Pu Xuexin（50) and Hui Wang (40) dragged into its third month since commencing end-July. 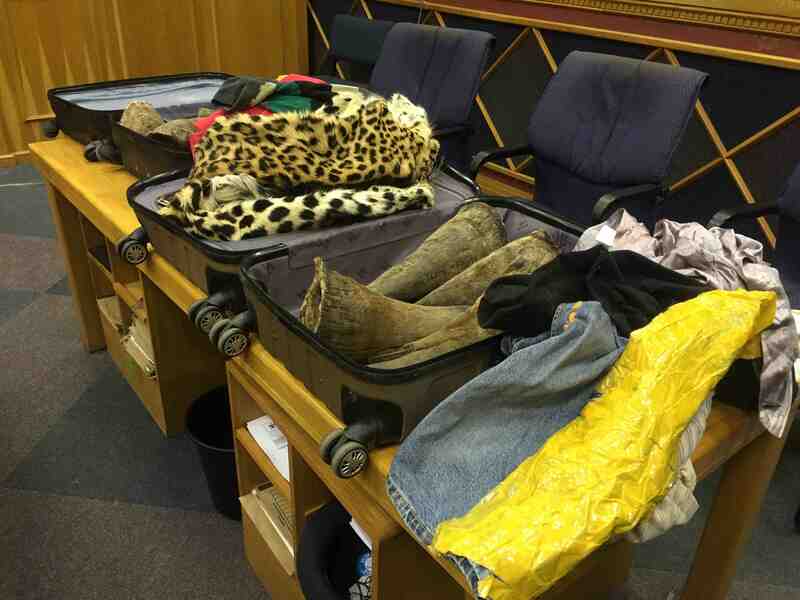 The first three suspects – Li, Li and Pu – were arrested on March 24 2014 at the international airport outside the capital Windhoek with two suitcases crammed with 14 rhino horns and a leopard skin. A fourth suspect, Hui Wang, who the state alleges is the kingpin of the group, was arrested in May this year at the Windhoek Country Club and Casino – the same hotel where Li, Li and Pu had stayed before attempting to board the international flight to Johannesburg a year earlier. It is the hotel’s footage the defence counsel questioned in court. All the accused are natives of Jiangsu province in China. Li Zhibing, the oldest of the four, pleaded guilty to most of the charges at the start of the court proceedings in July and handed in a plea explanation in which he claimed his travelling companions did not know the suitcase contained contraband. He was offered US$3,000 by a childhood friend currently in Zambia to take the suitcases back to China, he said. The state, however, rejected his plea. DNA evidence analysed by Dr Cindy Harper, the University of Pretoria’s rhino database specialist, and submitted as a court report showed 13 of the 14 horns originated from Namibia’s critically endangered southwestern black rhinos in the Kunene region. The 14th horn was that of a white rhino, stolen from a local taxidermy, the police have separately confirmed. The Ministry of Environment and Tourism earlier this year released data that showed Kunene’s black rhinos, uniquely adapted to their desert environment and the world’s last free-roaming desert rhinos, have been reduced by a quarter over the past two years due to poaching. In last week’s court proceedings, before the matter was postponed by a month, Constable John //Hoaseb testified that he was on his way to man the scanner at the airport’s baggage screening section when his superior summoned him urgently to find the owners of two bags the scanner had showed contained suspicious objects. Li Zhibing, the only one of the trio who appeared to speak some English, had claimed the key for the suitcase locks were “with the boss” in the parking lot outside, //Hoeseb testified. No such boss could be found, but he eventually found Pu perched on top of the toilet tank in a locked cubicle for disabled people at the departure lounge, he said. Back in the search room, he forced the bags’ zippers open with a pocket knife and found a leopard skin and rhino horns, wrapped in tape and clothes, he recalled. Although it is not illegal to export leopard skins, no permit could be produced for the pelt, valued at R50,000. Earlier, defence lawyer Orben Sibeya had indicated he would seek to disqualify any statement made during bail application proceedings he brought on their behalf shortly after the bust. During those proceedings, Li, Li and Pu said they had entered Namibia from Zambia with the purpose of tourism and looking for work, staying in Katima Mulilo and Otjiwarongo with local Chinese contacts before spending a night at the Windhoek Country Club and Casino. Rooms 242 and 243 were reserved for March 23 by Peng Geng, a regular at the casino who wanted to redeem his points, the casino’s hospitality manager testified. He recalled that Hui Wang gave him cash for the booking next to a slot machine at the casino. The state also handed in bank statements that showed Hui had paid in cash for the other three’s air tickets by way of a deposit of R25,300 to a local travel agency, Ritz Sure Travel, made two days before their overnight stay at the luxurious casino resort on the southern outskirts of Windhoek. The four Chinese suspects are all originally from Jiangsu province on the eastern coast of China. Hui Wang and Pu live in the same town, Huilong, where the Yangtze river flows into the East China Sea. According to a Chinese businessman, Hui Wang runs a rosewood business in Zambia. 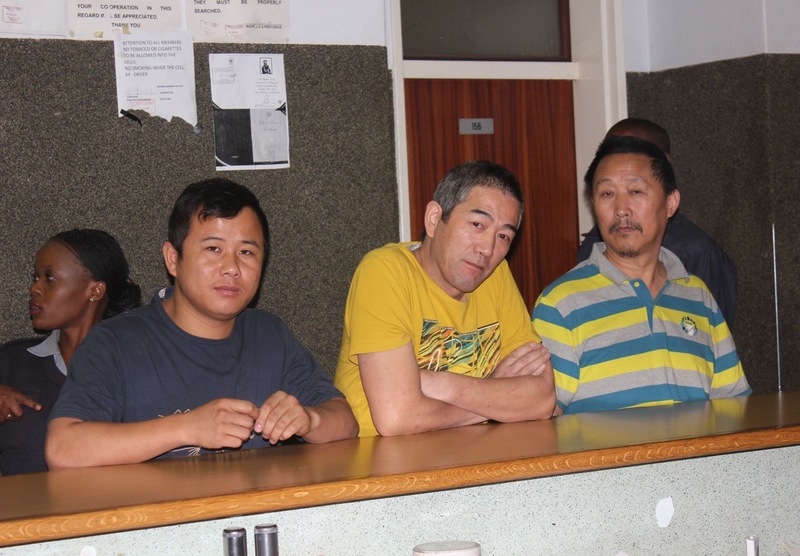 The four were the first of six Chinese suspects charged in Namibia in connection with rhino horn smuggling and related offences. 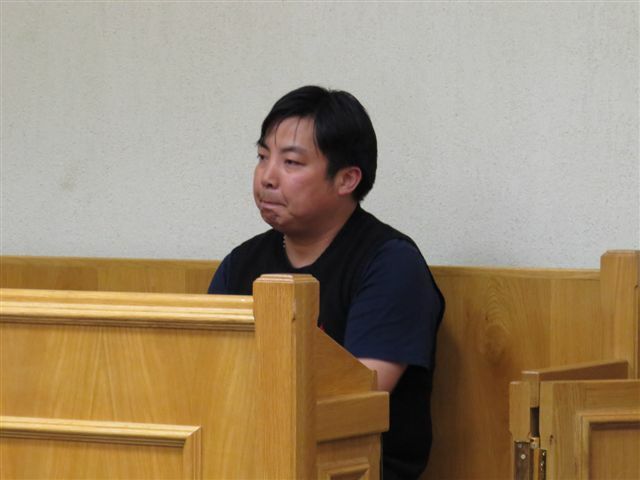 Xu Deijan was arrested in a police sting in Opuwo in 2013, and faces a charge of illegal possession of rhino horn. Police found a photo of another rhino horn on his cellphone when he was arrested. Xuecheng Hou (41), an Otjiwarongo-based businessman, has been arrested four times since 2010 for offences ranging from cattle theft to dealing in ivory. Like Xu, he is currently out on bail.